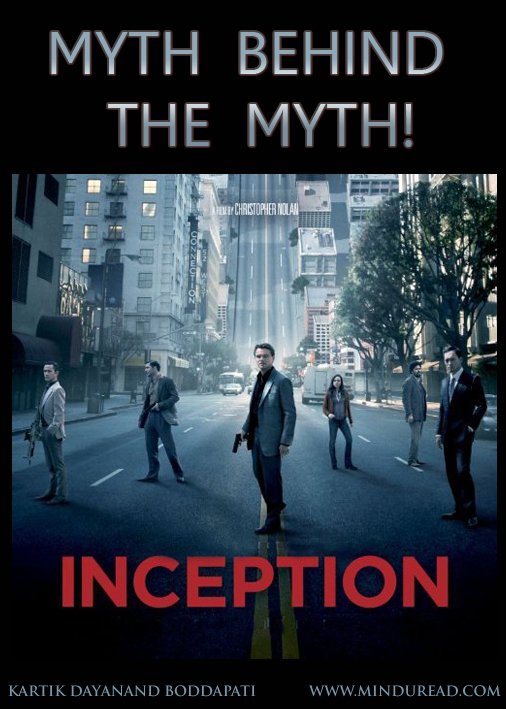 Inception: Myth behind the Myth! For the next few weeks there is only one movie everyone is going to hear and talk about, INCEPTION. It’s being called a mind bending exercise, a movie that challenges our very beliefs of existence and creation, a movie that will remain with us in our subconscious even after we leave the cinema hall. Let’s try and look at some of the concepts from this movie and see if they really are that path breaking and mind bending, let me warn you in advance, this isn’t a review of the movie so don’t expect me to talk about technicalities or other creative aspects of the movie. It is just an attempt from me to find out the Myth behind the Myth of this movie.